A writer writes, by definition. We often imagine that professional writers sit down and simply write, with beautiful strings of elegantly crafted words simply streaming onto the page or screen with an inhuman grace. Such a mental image couldn’t be further from the truth. The reality of it is that writing is real work, a labor of care and love and obsession, with anything remotely graceful coming only after hour (if not days) of painstaking, plodding work. Even for most professionals, the art of writing is one filled with multiple drafts, numerous revisions and countless edits. Despite all of this, a few simple steps can reduce the time lost to labor and increase the speed with which completed articles go out the door. The keys to efficient writing aren’t necessarily used when you’re actually writing the article or polishing it for publication; instead, efficient writing begins before the writing even starts. The two keys to more efficient writing are planning and preparation. While such words may cause the artistic free spirit to balk, these two elements will often mean the difference between an extra week of writing the same article, or a fat paycheck for an article that’s in under the deadline. The steps are simple, and just need to be followed. Before you can write effective non-fiction, you must select a topic. Without a topic, you don’t even have a direction in which to go. Very often, when a non-fiction writer speaks of writer’s block, that writer is really speaking about a lack of topic. Once a topic is chosen, fleshing it out is more a matter of cold logic than anything else. - What questions are there about the topic and the needed information? Once you have clarified what your topic is, you’ll now have the beginnings of your information gathering. Continue asking yourself questions, looking at your topic from as many ways as possible. Looking at this list of questions, identify potential sources of information that you can turn to for answers. These may be individual experts, reference books, websites, and many more. As you answer the questions, look for additional questions that the audience wouldn’t even know to ask, but still should know. As your information accumulates, you may find that some questions become unimportant, or unnecessary; other questions, like the original topic, may be either too broad or too narrow. Continue to research and revise until you are satisfied that every base has been covered. Looking now at your clarified topic, your refined list of questions and the information you’ve accumulated through expert research, it’s time to think about your article. Bearing in mind both the intended audience for this article and the purpose, how might this information meet those needs? How should it be presented for maximum effect? How can this raw information be shaped into a marketable work of art? Now is the time to ponder these questions, and to find answers. Finally, with all your prior work completed, make a list of the points that must be covered in your article. Sequence this list in the most effective manner you can so that it won’t confuse readers or misrepresent your topic. List the points again, this time in sequence. Ta-da! You now have a step by step blue print for your article, with all of the necessary information laid out for you. Without a single visit from your ‘muse’ or even one case of artistic distemper, you’ve built the majority of a great article, and you’ve done it quickly, and effectively. Brian Westover is a freelance writer. In addition to writing articles for publication in standard print venues (such as magazines and newspapers), he is also a skilled copywriter, offering a variety of services to anyone who needs great online content, polished business writing in a professional format and editing and coaching to improve your own writing. 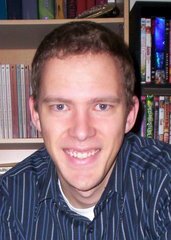 In addition to his professional site, Brian also runs WriterSpot, a website dedicated to finding and organizing online resources for either the beginning writer or experienced writing professional.